Kevin spent his weekend dealing with fine wife syndrome but his method of coping is different than Dwayne Wade’s. B-Honest suggests Kevin’s girl’s suitor may be looking for an opportunity to swing with the couple, especially since they are such a beautiful and tall couple. Christal watched the VMA’s and was impressed with Nicki’s performance but admits she enjoys Cardi B. B-Honest didn’t see the show but he isn’t impressed with Nicki Minaj’s a$$ a$$ a$$. 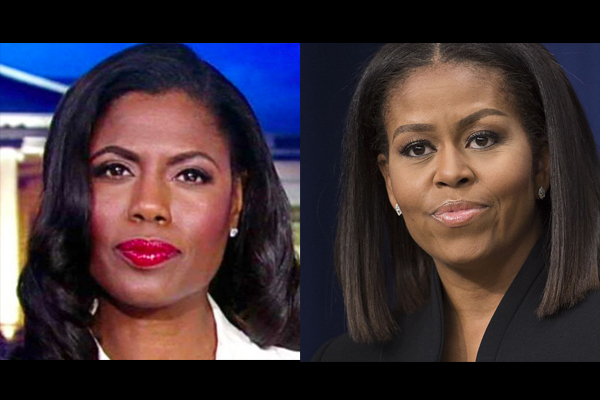 It’s actually a bad day for black women everywhere as B-Honest proclaims Omarosa has a strange semblance albeit evil to Michelle Obama. Christal refuses to allow B to spread his evil truths, but Kevin admits if Omarosa was ready and willing, he’d hit. B-Honest agrees. Both guys also agree they’d hit a twerking woman with no legs. Christal wants the show to end.